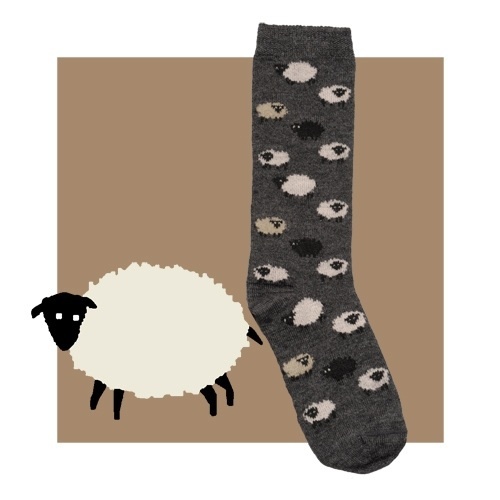 Multicolored sheep-patterned sock is great for farm animal lovers of all kinds. Softest blend of baby alpaca / viscose bamboo. Machine washable & machine dryable.